Get out the smoker and make these easy, low carb, deliciously spicy bites. 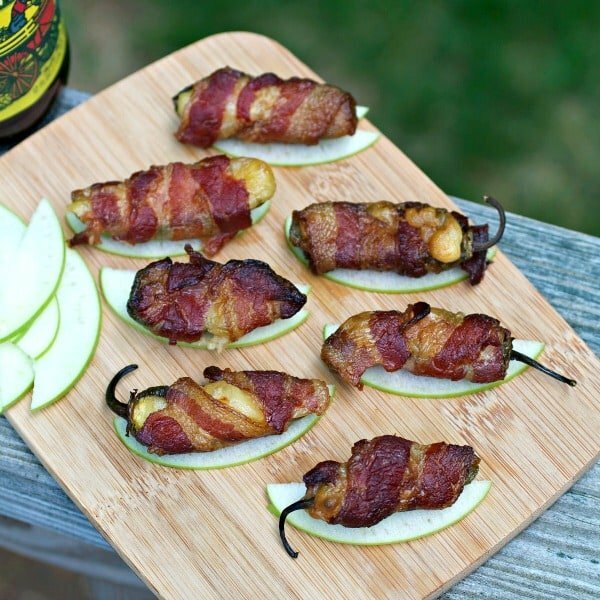 Smoked Jalapeño Poppers with Bacon + Apple + Brie will be the hit of any BBQ cookout party! Hope everyone had a wonderful Memorial Day holiday weekend! We had gorgeous weather all weekend long so we spent a lot of time outdoors and it was very relaxing. Of course, in keeping with the holiday tradition, we also barbecued a ton of food. 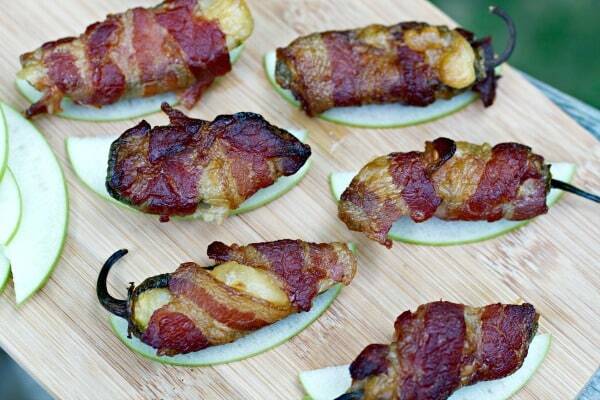 On the menu this weekend: ribs, chicken and these tasty little Smoked Jalapeño Poppers with Bacon + Apple +Brie. Holy cow, these pepper poppers were good. I could have eaten 50 of them in one sitting. The Brie cheese was a perfect compliment to the smokey bacon and the Granny Smith apple offered a cool, tart deliciousness against the spicy jalapeño. One of the great things about cooking with fresh jalapeños is it’s always a surprise because you never know the level of spiciness you’ll get with each one. Your mouth is either going to be happily tingling or on blazing hot fire for the next 30 minutes. Good stuff! See all those cute little seeds inside the peppers? Those are hot demon seeds that will burn your mouth all to hell. And don’t even think about using your fingers to scrap them out because there will be a burning sensation that will sear through your skin, getting all under your fingernails, and you will wish damn jalapeños never existed. It’s best to use a spoon or a butter knife to scrape out the seeds and veins and it’s always a good idea to wear gloves too if you have sensitive skin. I love how the Brie molds right into the pepper cavity. Easy as pie. I used Brie because it was what I had on hand and it worked out perfectly. The bacon was wrapped around the peppers once, fully encasing the cheese, and it stayed around the peppers well so I didn’t need toothpicks or anything to keep it there. Smokey, cheesy, spicy goodness on top of a crisp, tart apple slice. I was chowing down on these stuffed jalapeno poppers big time. 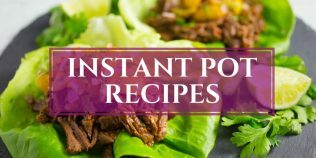 These poppers are obviously smoked, but they could be easily made in the oven too (oven instructions are included in the recipe below). 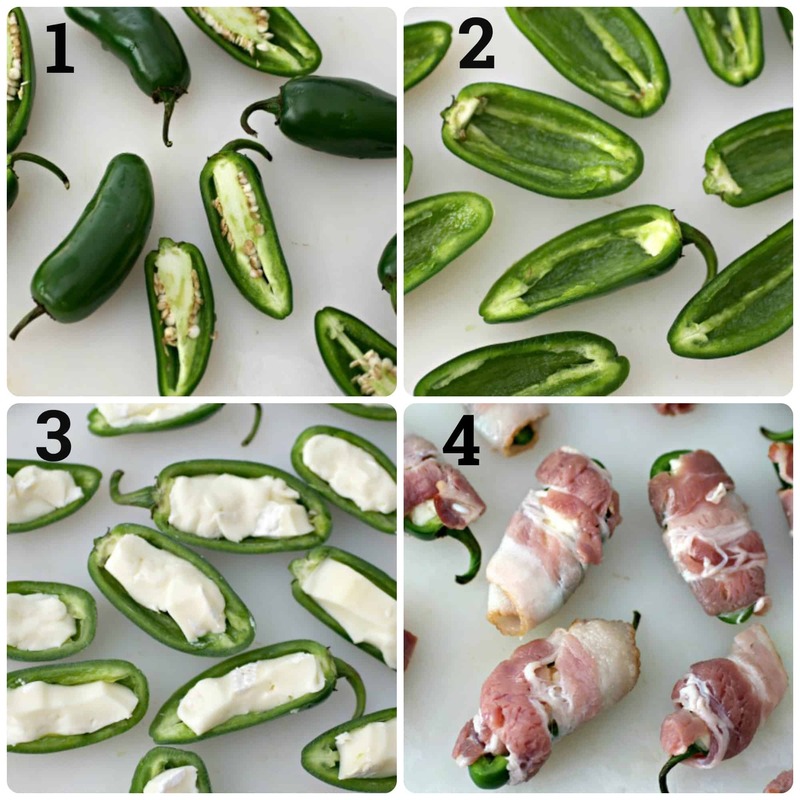 This coming weekend I’m going to make about 100 of these Smoked Jalapeño Poppers (with sugar-free bacon, of course), since they are perfectly acceptable on my Paleo, low carb eating kind of plan. 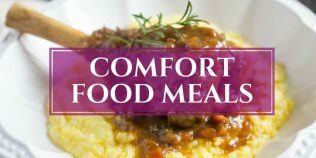 Hope you try them too! Get out the smoker and make these easy, low carb, deliciously spicy bites. 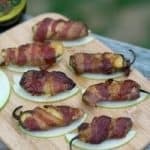 These Smoked Jalapeño Poppers with Bacon + Apple + Brie will be the hit of any BBQ cookout party! Wash and dry jalapeños, cut in half, and scoop out the seeds and vein from the inside with a spoon or butter knife. Take small slices of the Brie cheese and mold into the pepper halves, then wrap one bacon piece around each pepper. Set aside. Prepare smoker, using fruit wood (apple, cherry, etc) and get temperature up to 225F degrees. 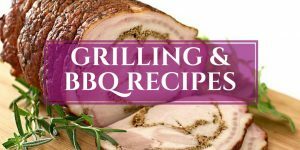 Place prepared poppers in an aluminum foil pan and place on smoker grill rack. Smoker poppers for 2 hours. 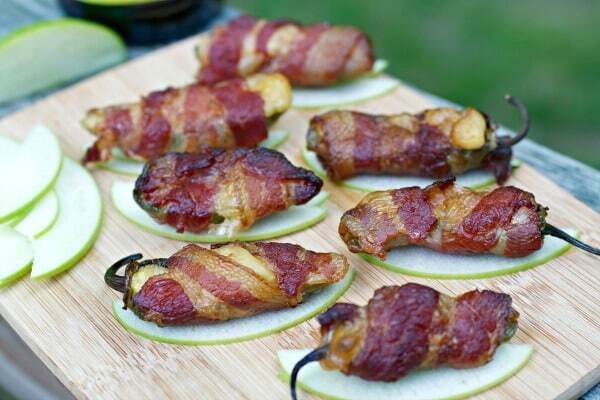 Place one apple slice on serving platter and place one smoked jalapeño popper on top. 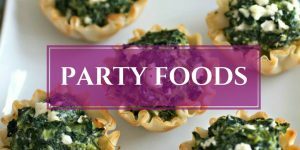 Serve immediately and enjoy with a nice cold beer! To bake in the oven: place the poppers on a baking sheet and bake in a preheated 400F degrees for 20-30 minutes. 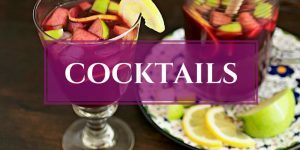 Wow, these look absolutely tantalizing! Anything wrapped in bacon is a thumbs up for me…especially when its got some heat involved too! Yum-O! I agree Beeta. Bacon and spicy are the best combo! Many thanks, my friend. 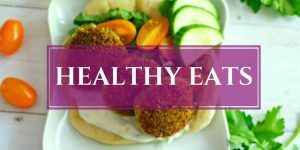 A food that Boy doesn’t like?? Didn’t think that was possible I wish my J didn’t like these because then I could eat them all by myself too! I agree with you Karrie…there is no possible way to “be good” when there is an open bag of chips (or anything crunchy and salty) in the house. At least you have good intentions and making an attempt to carry through. These jalapeño poppers look awesome! It would disappear quickly at any gathering. OMG – I’ve totally burned the hell out of my fingers while making stuffed jalapenos. It burned for hours! I love these. You are so creative to use brie and apples! I also think it’s hilarious that you outed yourself for cheating on your sugar detox! Awesome. I love anything jalapeño! I would have never thought to add brie and eat with an apple! How clever! LOVE IT! 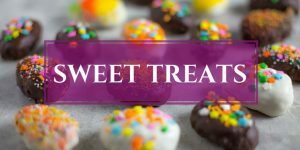 I am back on a low-carb diet, so this will be a perfect treat for me to try! Can’t wait! Thanks for sharing! I’m gonna make these. Amazing.